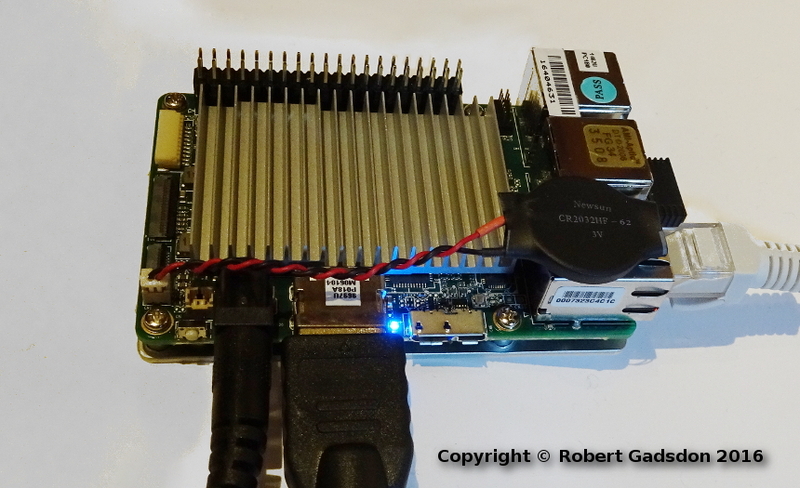 ← KERNEL – 4.8-rc1 Out – Breaks VMware and NVIDIA – and Fixes..
Just taken delivery of the Up Board – an Intel Atom powered SoC system, with the same form factor as a Pi.. It was quite a novelty to be able to plug a Fedora 24 Live USB stick in, and install directly to the device.. I booted the Live system first, and then used the ‘install to hard drive’ option.. For some reason, the install only worked if I unmounted the main eMMC partition (/dev/mmcblk0p2) first.. When it came to partitioning, the on-board eMMC (32GB) already had a 128MB partition as ‘Microsoft hidden’ and the other 29GB partition as NTFS, so I just changed the 128MB partition to ‘EFI System’ and mounted it as /boot/efi, and made the 29GB partition the standard EXT4-formatted rootfs.. 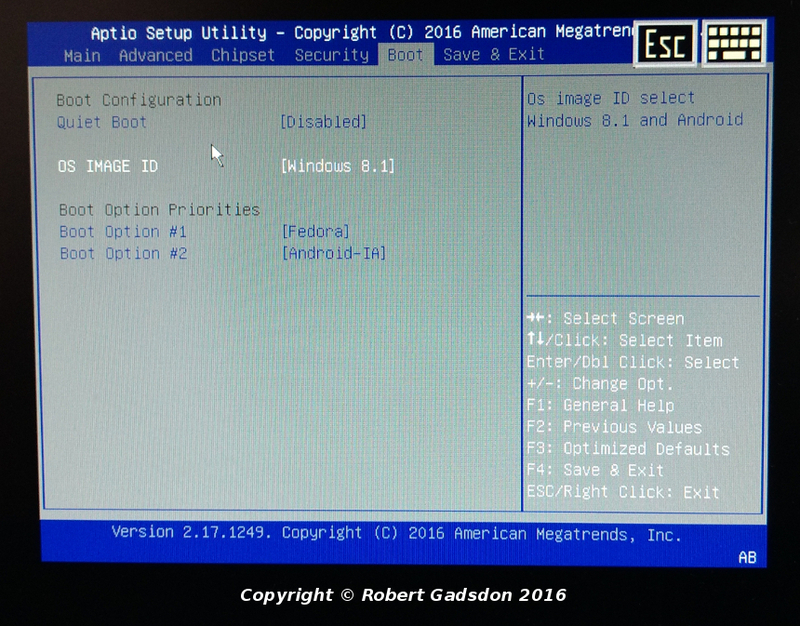 It even has a real bios interface, from another blast-from-the-past – American Megatrends.. In case you were wondering – I left the OS IMAGE ID parameter at ‘Windows 8.1’, as it was working fine, and I didn’t want to mess with anything that worked OK! Interesting that it had – apparently – detected the Boot Option #1 as ‘Fedora’? The install completed OK, and even the standard Fedora 24 kernel sort-of worked, although the display was a bit quirky, and attempts to switch out of the HDMI monitor connection caused the system to die.. I decided to try an upgrade to a compiled Kernel 4.8-rc2, and this was much better, with stable display, and ability to operate ‘headless’ if needed..
My only real mistake was not ordering the rather proprietary micro-ten-pin UART+USB combo connector at the same time as the rest of the system.. I thought I could modify an existing USB/UART connector, but the on-board connection is really tiny, and the ten-pin connector itself seems very hard to find… I ended up ordering the combo connector separately, but shipping costs to the USA are rather steep for such an inexpensive item! The device seems – so far – to be quite powerful, but runs a bit hot, although it is capable of running a full multi-cpu kernel compile onboard, so hopefully the main heatsink – and metal plate attached under the board, will be sufficient.. Thanks for spotting the typo – not an old UK computer, then..